Home Media Centre News and media releases ON Prime5 is now open! ON Prime5 is now open! ON Prime: Defence offers a unique opportunity to apply your science or tech research to Australia's national security and defence. Powered by CSIRO and delivered in partnership with DST under the Next Generation Technologies Fund, ON Prime5 will be run nationally starting September 2018. Applications are open 18 June – 13 July 2018. ON Prime: Defence is a part-time pre-accelerator experience which gives researchers a unique opportunity to fast-track their science or technology proposition with expert guidance from those who've been there and done it before. You'll be integrated with your local ON Prime cohort, in your closest capital city hub, as well as invited to attend an exclusive national session, expressly designed for all ON Prime: Defence participants from across the country. All you need to do is indicate that you are on a research team working on a Defence technology on the ON application form. It's free to participate and all IP and equity remains the property of the participating team or their sponsoring institute. 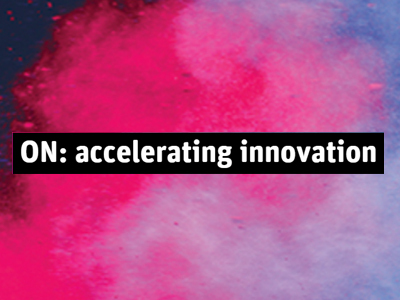 All ON accelerator experiences are open to teams with at least one research employee from CSIRO, Australian universities or Australia's publicly funded research agencies (PFRA). The research employee may be full time, part-time or a casual employee of a PFRA. For more information visit the ON Prime: Defence web page.